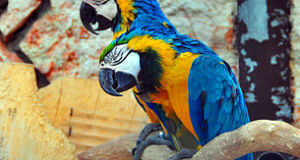 I recently received a very insightful comment from Yvonne, one of our readers, concerning parrot medicine and nutrition. Yvonne raised an important point that sometimes compromises the medical attention given to parrots and other animals, and so I’d like to address her concerns in this article. 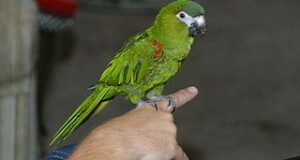 Yvonne mentioned that, while psychological factors are critical to the health of captive parrots, excessive attention to such may cause people to overlook underlying problems that are purely medical in nature. For example, stress-related behaviors, while serious in and of themselves, may mask medical problems, and lead both bird owners and veterinarians to an inappropriate plan of action (the “red herring” concept in human medicine). 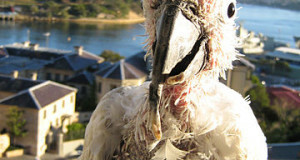 In Yvonne’s example, treating feather-plucking as a completely psychological concern caused a severe medical condition to go un-noticed, leading to a cockatoo’s untimely death. In my experience, the interplay of psychological and medical aspects in parrot care is a vital yet easily misunderstood concept. Both factors are critical and each affects the other. I do agree that there is a tendency for people to emphasis the psychological when it comes to parrots…I have seen the same among professional zookeepers, curators and veterinarians dealing with parrots, primates, marine mammals and other intelligent, charismatic animals as well. Where people are concerned, Western medicine has only recently begun to give ample consideration to the non-medical aspects of disease treatment. We can now measure the output of hormones which, excreted during times of stress, compromise the immune system, proving that both mind and body must be addressed. The same applies to birds. I often cite an example from my zoo years…birds which easily tolerate normal environmental levels of Aspergillosus can be killed by the same levels of the fungi when stressed by, for example, a move to a new exhibit. That being said, a secure environment and proper social grouping, etc. can only go so far – medical intervention is needed where appropriate. The key is finding that fine line. As regards reptiles, amphibians and invertebrates – creatures for which medical care is less-well advanced than for birds – environmental and social factors are, in effect, considered to be “medical treatment”. Often the best we can do is to provide them with appropriate habitats, and hope that this is enough to keep medical troubles at bay. The same holds true to a large extent for birds, especially the poorly-studied species – proper environment is the key to good health. Fortunately, however, we also have significant medical resources to assist our avian friends. Yvonne also laments the lack of information on what constitutes a healthy diet for many species. In this area we do indeed have much to learn, and many surprises await us. As a starting point, I always go back to sources that cite field observations – Forshaw’s classic Parrots of the World (TFH: 1997), for example. Unfortunately, published observations of free-living parrots (i.e. what parrots eat, seasonal variations in diet) are not easy to come by, and are given far less importance today than in years past. I have access to people and journals which may be of use to those of you who are interested in such research…please write in if you need further information.